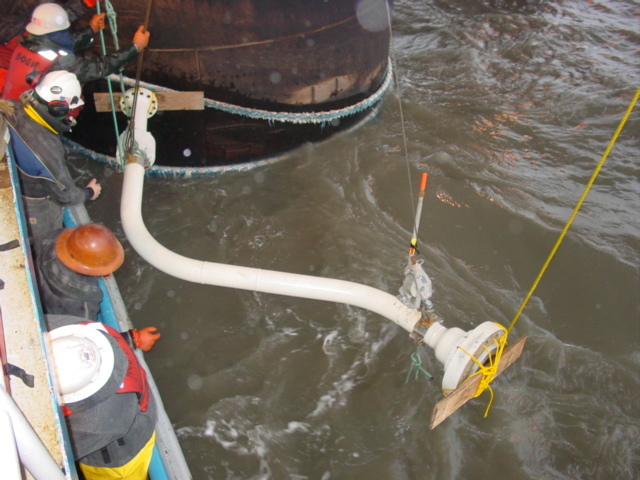 Subsea Pipeline Spool Piece Installation - Global Diving & Salvage, Inc.
We were hired to replace a pipeline spool exiting on one leg of the production platform Grayling located in Cook Inlet. The project required taking ultrasonic thickness readings and blackwater video pictures of various components. The project involved removing pipe sections, measuring replacement pieces, and installing the new surface-fabricated steel pipe replacement pieces. Hydraulic stud stretchers and hydraulic impact wrenches were used to take apart and replace the flange bolts. Re-tightening the flange bolts required following an exact torque sequence. The two replacements were completed in approximately a working depth of 140 feet of sea water.